The Danish football team will stay at the luxurious Simola Golf & Country Estate in Knysna during the 2010 World Cup™ in South Africa. The 325-hectare estate is situated in the hills overlooking the Knysna Lagoon. The Danish team will be using Loerie Park, Knysna’s biggest public sporting facility as a practice field. From Plettenberg Bay / Knysna C.B.D: When leaving Knysna on the Main Street (N2), turn right into Old Cape Road (around 200m from the Waterfront Drive traffic lights). From George / Sedgefield: Drive towards Knysna, over the white bridge, and the length of the Lagoon road. Turn left into Old Cape Road after the Welbedacht turn-off. The adidas Jabulani is the official football of the 2010 FIFA World Cup™ in South Africa. Jabulani, meaning "to celebrate" in isiZulu, is the 11th edition of adidas's FIFA World Cup balls. The 11 colours (acutally 11 lines in 11 different colours) on the ball represent the 11 official South African languages and the 11 major ethnic group of the country as well as each team player on the pitch of a football match. This video could be the first professional footage of very rare Cross River gorillas, the most endangered subspecies of gorilla, filmed recently in Cameroon's Kagwene Gorilla Sanctuary, home to an estimated 16 gorillas. The Cross River gorilla is listed as critically endangered on the IUCN Red List of Threatened Species - the estimated number is most likely fewer than 300 across its entire range in Cameroon and Nigeria. What a great offer - GAP Adventures' 20 day "Dunes, Deltas & Falls Discoverer" tour starting at the 23 Februar 2010 is discounted by 15% (or 346€!). Accommodation: Hotel (7 nts), Guesthouse (1 nt), Guest farm (2 nts), Camping (2 nts - pitched tents), Desert lodge (1 nt), Chalet (3 nts), Basic camping (2 nts), Safari tent (1 nt). Highlights: Cape Town, Fish River Canyon, Namib Desert, Sossusvlei, Swakopmund, Etosha National Park, Windhoek, Kalahari, Maun, Chobe National Park, Okavango Delta, Victoria Falls. Description: Marvel at the incredible wildlife, learn about fascinating cultures and take in the breathtaking scenery of this diverse region of Africa. Highlights include visits to the world's highest sand dunes and the Fish River Canyon, game drives in Etosha National Park, Mokoro trips in the Okavango Delta and visiting the mighty Victoria Falls - what an adventure! The deepest ocean volcano eruption ever recorded! The District Six Museum in Cape Town was established in December 1994 to serve as a remembrance to the events of the apartheid era as well as the culture and history of the "District Six" before the removals. The "Sixth Municipal District of Cape Town" or simply "District Six" used to be a mixed community of freed slaves, merchants, artisans, labourers and immigrants from around the world. Not for long though - already in 1901 the history of removals began with the resettlement of black South Africans. In 1966 the area was declared a white area under the Group areas Act of 1950, and by 1982, the life of the community was over. 60 000 people were forcibly removed to barren outlying areas aptly known as the Cape Flats, and their houses in District Six were flattened by bulldozers. The today's museum is not a big museum in terms of size, but one of them places visitors coming to Cape Town shouldn't miss. It is demonstrating you in a very special way, why Cape Town is what it is like today. The roots of the very Cape Town feeling are defo lying here - the art, the colourful people, the cosmopolitan vibe. All that seems to come from that particular "District Six" that the Apartheid government tried to destroy. As I said - if you are in Cape Town make sure that you are visiting this eye-opening museum! The S36 and S145 roads to Talamati, in the Kruger National Park’s (KNP’s) Nkayeni Region, are now open for tourists. Both roads were closed since the 3rd of December because heavy rains in that area were expected. Guests are advised that it is now safe for vehicles to use this road. Clint Eastwood's new film "Invictus" (in cinemas in South Africa & the US already) about Nelson Mandela's life during the 1995 Rugby World Cup in South Africa is actually based on a book written by John Carlin. Carlin is a scotish/spanish journo and author dealing with both sports and politics. He was The Independent's South Africa bureau chief from 1989-1995 and published the book "Playing the Enemy: Nelson Mandela and the Game That Made a Nation" in 2008. The French national football team will be based at Pezula Resort Hotel & Spa in Knysna during the 2010 World Cup in South Africa. The resort has its own private multi-sports field which the team can utilise for practices. The complex is set on a stunning 1,000 ha estate and is known for its secluded beach, sweeping fynbos landscapes and ancient indigenous forests. Directions from Cape Town (±500 kms /311 miles) Take the N2 from Cape Town to Knysna passing Somerset West, Caledon, Swellendam, Albertinia, Mossel Bay and George. Continue along the main road through Knysna, past the Provincial Hospital on the left. After the Caltex Petrol Station on the right, turn right into George Rex Drive (road to Knysna Heads). Immediately after Knysna Golf Club, turn left into Wilson Street and right at the circle into Duthie Drive. Directions from Port Elizabeth (±260 kms /162 miles) Take the N2 from Port Elizabeth to Knysna, passing Humansdorp, Storms River and Plettenberg Bay. As you drive into Knysna, turn left into George Rex Drive (road to Knysna Heads). The early bird catches the worm or more specifically the Big 5 when you’re on safari, and we game viewers were somewhat bleary eyed but nonetheless filled with a growing sense of anticipation as we got ready to go wild in the Kruger. We watched the sunrise and sipped coffee, our group completely captivated by the sounds of the African bush and what was to come. After heading off into Big 5 territory our jeep closed in on a solitary leopard dragging her prey towards a nearby kopjie (small hilltop). Her sleek fur glistened in the light, and her bright eyes were fixated on the surroundings as she surveyed the wilderness for incoming predators. Awesome experience?!!! Not many parks or reserves can beat the Kruger when it comes to wildlife, and it’s still a major highlight for anyone looking to catch the big cats. One lucky adventurer will now be able to game drive in the national park for FREE, as Acacia Africa a leading adventure travel company, is giving away a 6-day African Insight overland safari as part of its “Go Wild Online” campaign. From now until the 12th of February, the tour operator will be going in search of the "Acacia Wild Tweep", the competition targeted at fans of South Africa. Anyone who has been to the Rainbow Nation can enter, and applicants don’t need to have travelled on an Acacia tour. The winning safari enthusiast will be judged by some of the best expert Africa bloggers on the net including, AfricaFreak, PlanYourSafari and of course Travelcomments.com. Before whisking adventurers away to the continent, Acacia will be asking the winning "Wild Tweep" to share their love of South Africa in a 20-minute virtual tweet up on the Africa specialist’s Twitter page. Scheduled to take place on Friday 26 February from 13:00-13:20 (GMT), the winning "Wild Tweep’s" mission will be to answer questions on the Rainbow Nation put forward by the tour operator’s tweeps. The complete FREE 6-day overland trip includes river cruising on the Chobe River, optional adrenaline activities at the Victoria Falls and of course, Big Five game drives in the Kruger National Park. Join the South Africa Tweet Up! Price: From £2595 (25 weeks) - £3995 (50 weeks) excluding flights. Price includes pre-departure support and discounted services, airport pickup, in country transport, accommodation and a 2 week training programme in the Kruger National Park. These long term volunteer positions offer independent, ambitious volunteers the chance to work for one year in and around South Africa’s most famous national parks. If you are seeking a change of direction or a long term, highly immersed experience in the field of conservation and environmental education these long term internship positions are for you. South African National Parks (SANParks) manages a system of 20 national parks that represent the indigenous flora, landscape and associated cultural heritage of the country. You will be placed with the ‘People and Conservation’ department according to priority projects and where your skills are most needed. Interns play an integral part in the implementation of new policies and programmes developed by SANParks to integrate local communities into the conservation of the natural and cultural heritage sites within the parks. These national parks offer diverse adventure tourism opportunities such as game viewing, bush walks, canoeing and a chance to experience the history and culture of South Africa. The work carried out by interns is essential for the long term conservation of these areas which are both important to South Africa and the people who live alongside them. Possible opportunities to be involved in many other aspects of a National Park such as; guiding on interpretive trails, game drives, community activities, game counts, presentations. Live and work in beautiful and remote parts of South Africa. Virtual Africa, a South African company specialised in virtual tours, just took what is believed to be the highest definition picture ever taken of Cape Town. Watch the video for the "making of..." and click here for the pic! It was created by stitching 1850,fully zoomed (x 20 optical zoom), 10 MegaPixel images together. The time it took from the first shot (top left) and last shot (lower right) being taken, was about 3 hours. It’s 205 000 pixels wide. That equates to a printout of about 90 m x 15 m! The third ticketing sales of the 2010 FIFA World Cup™ has hit the 500 000 mark within the first ten days. the remaining 44 348 tickets were bought from fans from around the world. In total, ticket applications from 166 countries have been received. The current third Ticket Sales Phase will run until 22 January 2010. In total, about one million tickets for all 64 matches and categories are made available in the third sales phase including a limited number for the opening match and the final. All applications within the sales phase will be treated equally. In an event of over-subscribed matches or price categories, there will be an electronic random selection draw on 1 February 2010. GAP Adventures' Africa Overland tours: All guaranteed until June 2010! Big news for anyone heading to Africa in the next 6 months - all of GAP Adventures' Africa Overland tours are 100% guaranteed until June 2010! GAP Adventures offers more than 35 Overland tours running through 10 countries in eastern and southern Africa. Trips are as short as 8 days or as long as 54 days. If you have been sitting on the fence, then now is the time to book. Lock in your guaranteed trip and find some great airfare, our life-changing African Safaris have never been so easy before! Just imagine the possibilities...spoting the "Big 5" in the Serengeti, hanging out with the Maasai people, trekking for mountain Gorillas in Uganda, hearing the roar of Victoria Falls or taking a Mokoro through the Okavango are just a few highlights form GAP Adventures' Africa Overland program! Note: Tour code DKTO is not included in this Africa Overland guarantee program. You booked a tour with GAP Adventures and your plans changed due to some reason or just as a matter of fact? No problem anymore! GAP Adventures has introduced so-called "Lifetime Desposits" - each initial deposit per confirmed tour, per person, is valid for life and will remain secure on file, until travellers are ready to use it. The Lifetime Deposit can then be used on any future booking and is not limited to the tour on the original booking. The deposit is transferable, so that travellers may even give it to a person of their choice or donate it to GAP’s non-profit Planeterra Foundation. The current demarcation system of the South African Wine Industry often has little or no reference to the wines produced in these areas; neither does it indicate accurate geographical location. Thus, wine producing areas are presented in smaller demarcated areas, referred to as “Pockets”. The Pockets group together wineries based on their terroir (from available terroir information) with names indicating geographical similarity. 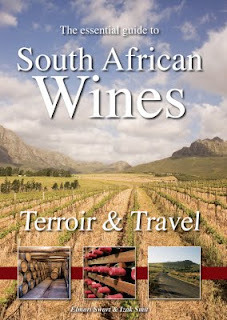 The essential guide to South African Wines presents the reader with a selection of the premium South African wine producers and explains why wines from one Pocket taste different from those of another Pocket. The Guide takes the reader to the winery, armed with everything he/she needs to know — geographical and soil descriptions, viticultural techniques, winemaking methods, flagship wines, maps and GPS waypoints — to heighten the wine experience. Tour departing at the 23 Feb 2010 - 15% discount! Cape Town, Fish River Canyon, Namib Desert, Sossusvlei, Swakopmund, Etosha National Park, Windhoek. Cape Town, Fish River Canyon, Namib Desert, Sossusvlei, Swakopmund, Etosha National Park, Windhoek, Kalahari, Maun, Chobe National Park, Okavango Delta, Victoria Falls. Tour departing at the 17 Jan 2010 - 15% discount! Game viewing, Samburu, Great Rift Valley, Lake Nakuru, Masai Mara. South Africa: Do I need a Yellow Fever Certificate? Yellow fever is a virus carried by the Aedes mosquito that leads to death in about 25% of patients. There is no specific treatment, but vaccination is very effective. International law requires travellers crossing the borders of countries where yellow fever is endemic to have yellow fever vaccinations. After you have been vaccinated you will be issued with a Yellow Fever Certificate. The certificate only becomes valid ten days after vaccination, and stays valid for ten years. Do I need a Yellow Fever Certificate when travelling to South Africa? If you have travelled in a Yellow Fever region in the six days before you wish to visit South Africa, you will have to show your Yellow Fever Certificate when you enter the country. Please contact your next South African embassy to double check the information given. The official South African websites acutally name different countries as "yellow fever countries". The official 2010 World Cup website of the Ministry of Home Affairs for example names "Zaire" as one of the countries in the "yellow fever belt". The Democratic Republik of the Congo used to be Zaire - untill 1997! The Last Resort is a dark, comic, true-life thriller about Lyn and Ros Rogers, white Africans of many generations, struggling to hold on to their game farm and backpacker lodge in Robert Mugabe's war-torn Zimbabwe. Travel writer Douglas Rogers returns to the family farm from his home in Brooklyn, New York to discover that marijuana is growing instead of maize; prostitutes, diamond dealers, and refugee farmers prop up the lodge bar, and war veterans and youth militia loyal to Mugabe hover outside the gates. In going back Rogers discovers the "big story" he had traveled the world in search of is taking place in his parents' back yard. Under the direction of experienced field staff, you’ll help observe six habituated colonies of meerkats in South Africa’s Kuruman River Reserve. You'll learn how to radio-track, conduct focal sampling, use a Global Positioning System, and weigh meerkats. The data you collect will help researchers evaluate how cooperative breeding affects the survival of both pups and helpers. You will also investigate interactions between the meerkats and a klepto-parasitic bird species, the fork-tailed drongo. Supplementing the meerkat studies, you'll help conduct biodiversity, invertebrate, and plant surveys, and spend some time recording the size and activity of social bird colonies like pied babblers and weavers, in response to rainfall levels. You'll also help with outreach efforts to assist the local primary school. All of these adventures will be set against a backdrop of gemsbok, hartebeest, springbok, duiker, steenbok, bat-eared foxes, three kinds of mongooses, many birds, and the fantastic creatures of the Kalahari night. You will be housed in your own thatched-roof rondavel with a cold-water sink, basic furnishings, electricity, and a fan. Hot showers and flush toilets will be available in a nearby building. The team will be part of ongoing research programs at the reserve and you will have a chance to interact with a variety of researchers—whether discussing their current studies or joining them in a game of volleyball! Ethical Traveler recently released a top 10 list of "The Developing World's 10 Best Ethical Destinations". To create the list Ethical Traveler made an extensive research focussing on three general categories, namely "Environmental Protection", "Social Welfare" and "Human Rights" as basis for their research to identify the top ten destinations. 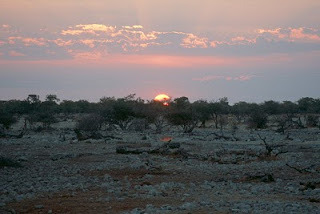 South Africa is getting a new highlight with the opening of the "Rim of Africa" in October 2010. The "Rim of Africa" will be the first truly epic, long distance, hike on the African continent based on the likes of the Appalachian and Continental Divide Trails in the USA. The trail stretches from the greater Cederberg wilderness area on the Cape's West Coast to the Outeniqua Mountains at the Garden Route, traversing more than 650km of mountain paths. The route takes in the Cederberg, Skurweberg, Hexrivier, Keeromberg, Langeberg and the Outeniqua representing a flagship hiking product of international significance, attracting hikers from around the world. To walk the full length of the Rim of Afica will require at least 48 days of walking. The organisers of the "Rim of Africa" currently plan to offer four distinct stages, with each stage requiring around 10 to 12 days. All first three treks in October 2010 will be "modest" 11 day fundraising hikes to help complete construction of the trail. See their website www.rimofafrica.co.za for more info! International Volunteer Day (IVD) at the 05 Dec 2009is an international observance designated by the United Nations since 1985. The declared aim of this day is to thank the volunteers for their efforts and increase public awareness on their contribution to society. The International Volunteer Day is marked by most non-governmental organizations throughout the World. Kicking Out is an 18 min film looking at at how getting involved with sports and in particular football can help people and especially children, stay away from a lot of the struggles being poor in Kenya brings. The film looks at the use of sport to spread positive messages to help address the causes and problems of the HIV/AIDS crisis in Kenya. Kicking Out from The SRK on Vimeo. Photographed by Joe Cogan and edited by Tim Grabham and Suridh Hassan, the film was produced in association with Alive and Kicking and is dedicated to the memory of Jim Cogan OBE. The S36 and S145 roads to Talamati, in the Kruger National Park’s (KNP’s) Nkayeni Region, are currently not accessible until further notice. This is due to heavy rains experienced in that area. The Crocodile Bridge Entrance Gate at the Kruger National Park (KNP) is currently closed due to the recent rains which has flooded the bridge. A new public entrance gate into the Etosha National Park on the western side of the park (Galton Gate) is going to be opened up in the near future. The opening of the gate will create a link between the Skeleton Coast Park and Etosha resulting in benefits for both parks as well as the communities along the way. Namibia Wildlife Reservations is also going to open a fifth lodge in Etosha - the construction work is planned to be completed by the start of the 2010 peak season (last quarter of 2010). The camp, which is probably going to be called "Dolomite Zebra Camp", will be developed in the western part of the park using environment-friendly approaches only, such as renewable solar energy and careful water management. Only a minimum damage to the natural surroundings is planed to be done. The camp will consist of a reception, lounge, bar and a restaurant area, and a walkway leading to 25 thatched, en-suite chalets. 10th edition of Footprint's South Africa Handbook out now! So far a total of 674,403 World Cup 2010™ tickets have been sold. 53.6% of those tickets have been sold to South African residents. Football fans from the US purchased 84,103 tickets up to now, followed by the UK (48,388 tickets), Germany (25,112 tickets), Australia (17,876 tickets), Canada (11,662), Switzerland (11,045 tickets), Japan (10,558 tickets) and Brazil with 8,006 tickets. 90% of the tickets made available to date are sold! About one million tickets for all 64 matches and categories will become available in the 3rd sales phase starting at the 05 Dec 2009 – including a limited number for the opening match and the final. Fans will have to apply within 49 days (until 22 January 2010) for individual match tickets or Team-Specific Series. North South Backpackers has been up and about for 11 years now and is the best positioned backpackers in Pretoria. Close to embassies, stations and the university, North South Backpackers lies in the throbbing heart of happening Hatfield. You can find some of Pretoria's hottest nightclubs restaurants and bars in this area. It's a friendly stop where you can relax and put your feet up or go with the flow. It's easy to float your troubles away in the pool, cool off in the garden or melt down at the bar. We run a free shuttle between our two lodges and offer pick up's and drop off's to the International Airport Lodge. The lodge consists off doubles, twins, singles and private rooms with safe boxes and clean comfortable linen. We have a bar, pool table, swimming pool and self catering kitchen. There are internet facilities on the property. Car parking and book exchange available. Loads of porch space to relax on. Tours available and car hire. Looking for accommodation during the 2010 World Cup™ in Pretoria? North South Backpackers has still accommodation available! Check it out!